Bryant Park has come a long way since the 1980s, when the park had fallen into disrepair and had a reputation as a place of antisocial behavior. Private management, design improvements, and public programs and events helped to turn the space into what it is today--New York's Town Square! The ripple effect of these improvements traveled across the street, resulting in improved real estate values in the Bryant Park neighborhood. Improved real estate values, in turn, resulted in increased property tax revenue for New York City. A new study quantified the increased tax revenue at $33 million dollars, all going to funding city services. We're happy to do our part to make New York City a better place. 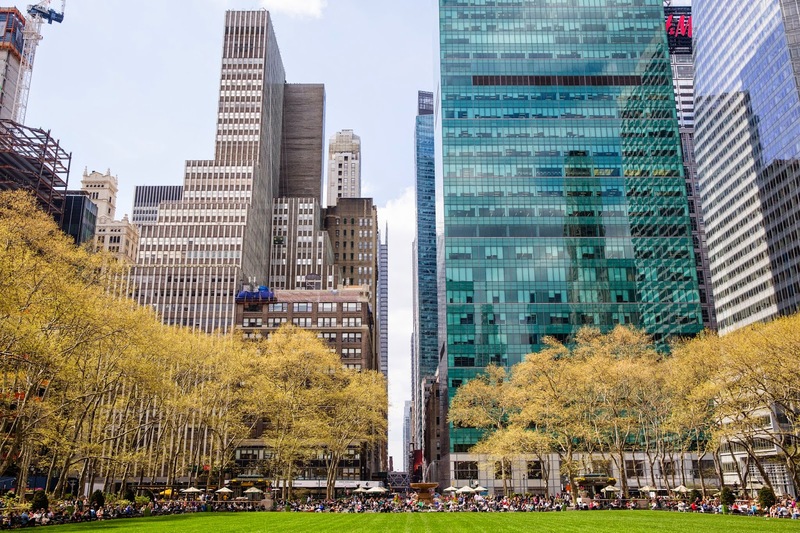 A new report commissioned by the business improvement district that operates Bryant Park quantifies the benefits of the green space for nearby buildings and New York City’s coffers. 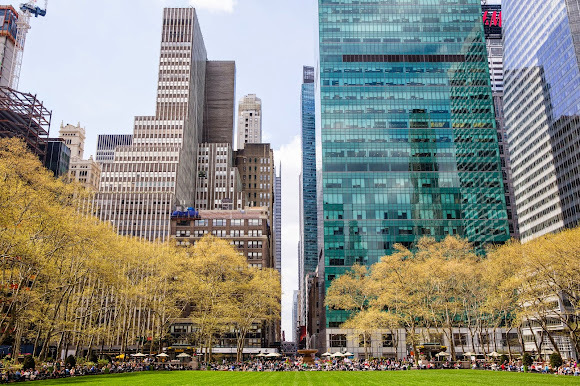 The study for Bryant Park Management Corp. calculates that buildings on the open area’s perimeter command office rents 12.5% higher than similar buildings that are within a few blocks. That rent premium translates into property values 20% to 25% higher on average and at least an additional $33 million annually in real estate tax revenue for the city, according Landauer Valuation & Advisory, which conducted the survey. Bryant Park Management Corp. runs the park with Bryant Park Corp., a not-for-profit private management company. “It’s a massive return for the city of New York as well as property owners,” said Dan Biederman, president of the Bryant Park Management Corp.
Several buildings bordering the park have incorporated “Bryant Park” in their addresses, showing the park’s revitalization and proximity carries cachet, the report noted. “I think a lot of it does have to do with the turnaround of the park space, the activity like the ice rink, the winter village, the shops, the kiosks, the ability of an office worker in one of these buildings to step outside to a beautiful park,” said Chris Peckholdt, an associate director at Landauer.